Not a lot has changed in the update, but that might not matter. 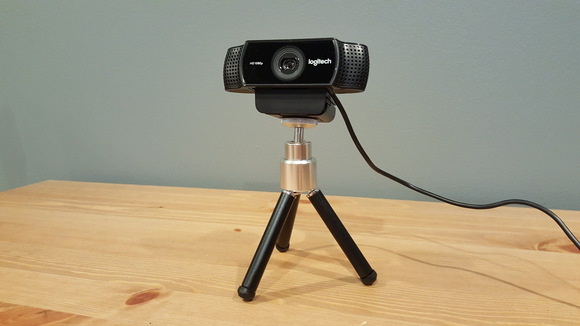 After four years, Logitech has finally retired the C920 webcam. It had a long and distinguished run—one that saw Twitch.tv move from a small Justin.tv subsidiary to a billion-dollar chunk of Amazon, while YouTube continued to secure its dominance over the media landscape. The C920 rode that momentum, becoming a staple in most mid-to-high-end streaming rigs. The new Logitech C922? Well, it’s the C920, but marginally improved. It also has some competition this time, in the form of Razer’s new Stargazer—a webcam that boasts Intel’s RealSense technology. Will the C922’s pedigree keep it on top for another generation? The C922 will certainly look familiar to any C920 owner. I mean, it’s basically the same. The Logitech logo’s been updated to the new 2015 design, and it’s been given more prominence up next to the lens instead of tucked away in the bottom-right corner. But other than that, I’d struggle to list any big differences. It’s a squat black rectangle that perches above your screen. A single lens peers out from the center, while dual microphones slope off to the side. Inoffensive, if also a bit boring. I thought we might see a more comprehensive overhaul on the C922 given how aggressively Logitech has redesigned peripherals in recent years, but instead we get the “ain’t-broke-don’t-fix” approach. This also extends to the mount—the same L-shaped lip/joint used by the C920, with the bulk hanging down onto the rear of the monitor. The lip on the C922 is slightly longer than the Stargazer’s, so those with an ultra-thin monitor bezel might be annoyed to find that the lip hangs in front of the screen a bit. Your other option is to mount the C922 on a tripod—preferably a real one, though if you purchase through Best Buy, Logitech actually includes a miniature tripod, which unfolds and telescopes to about seven inches tall. 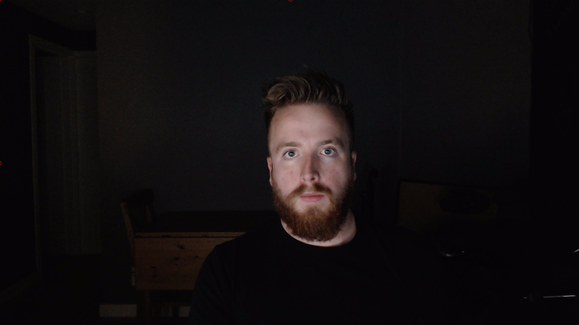 It’s of decent enough quality, but resting it on my desk didn’t make for a very flattering camera angle—mostly my chin and nostrils. You’d have better results setting it on a shelf or maybe on top of a tall computer speaker, provided you’ve got that sort of setup. If there’s anything I wish Logitech had upgraded in the last four years, it’s the flimsy rubber cable connecting the camera to the PC. Sadly, it remains. It’s not easily replaceable, it’s thin, it’s rubber-coated, and I’m perpetually worried I might pinch it or crimp it and render the camera unusable. This state of affairs feels particularly egregious in light of the thick, fabric-sheathed, and detachable cable that ships with Razer’s Stargazer. While Razer’s option is a bit stiff and unwieldy, I’m at least not worried about it breaking. Logitech’s touted all sorts of features in the lead-up to the C922. 720p streaming at 60 frames per second, for instance—a definite upgrade. 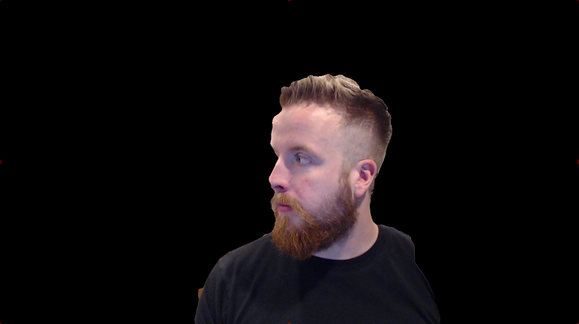 Automated background removal is another. And we’ll get to those. The C922 has something far more basic going for it though: You take it out of the box, you plug it in, and the picture looks damn good. Logitech might have eschewed all the fancy RealSense technology at the heart of the Stargazer—gesture tracking, depth perception, infrared, 3D scanning. And some of those omissions are dearly felt. It’s weird, for instance, that Windows Hello doesn’t work with the C922, and Logitech’s background removal isn’t nearly as good as the hardware-backed solution included with RealSense. 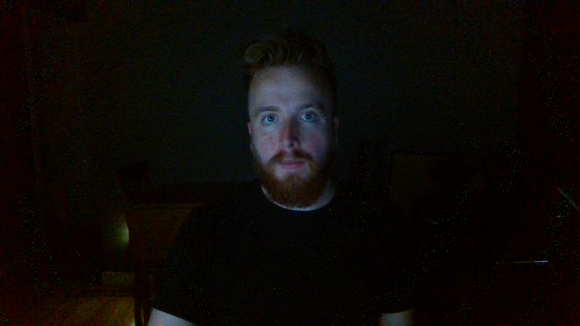 Both images were taken with the lights off, so my face is lit only by my monitor. One of the reasons the C920 became so pervasive is because it could capture a damned fine image for less than 100 bucks. 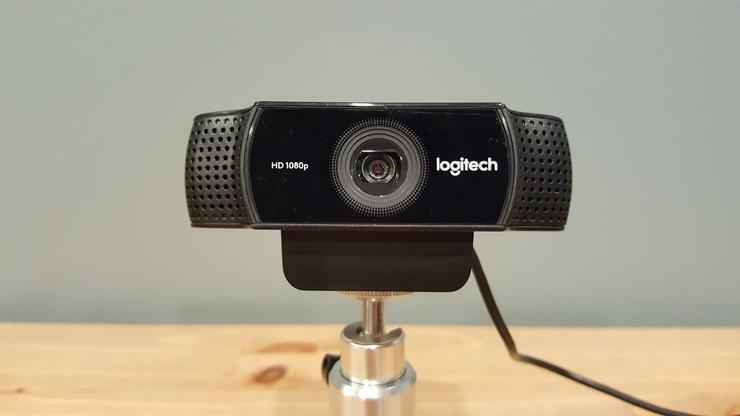 As part of a recent webcam roundup, my colleague Michael Ansaldo called it “shockingly crisp.” The C922 upholds that legacy and then some, with Logitech touting its low-light performance as one of the main upgrades. While that’s maybe not a huge draw for corporate users, I’m sure it’ll come as welcome news to a generation of Twitch streamers broadcasting out of dark bedrooms. It actually doesn’t look too bad, but here’s the catch: The C920 was basically unusable for video at those levels. In order to keep the image clear, the camera sacrificed frame rates, outputting at just 5-10 frames per second. The C922 can hit around 30 frames per second, again lit only by the monitor. 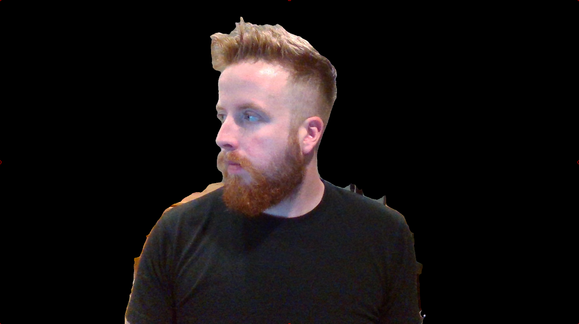 If you’re buying a webcam for Skype/Hangouts/etc, then the C922 is really the best option. Could Logitech have pushed further? 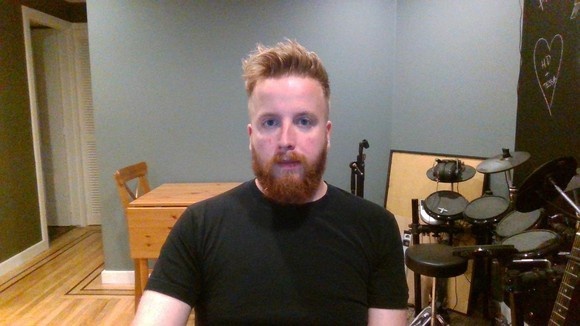 Is it weird that we still don’t have consumer-oriented webcams that capture greater than 1080p video? Maybe. But Logitech’s hardly alone—the Stargazer tops out at 1080p. The webcam industry hasn’t kept pace with the smartphone industry in this regard. 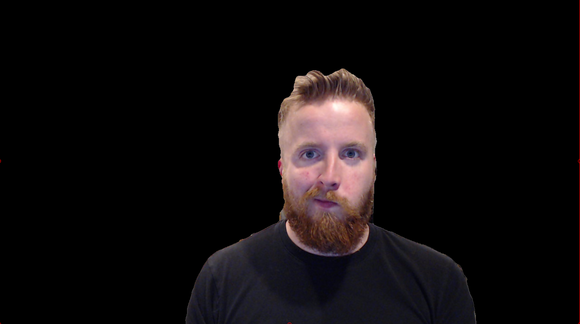 And let’s be honest: Most people willing to spend $100 on a webcam are producing content for Twitch and YouTube, and in that case the C922’s primary job is to pump out a 200x200 pixel inset of a user’s face in the bottom-right corner of the screen. Even 720p should be more than satisfactory for that. Which brings us to the C922’s other primary feature—background removal, sans green screen. You could accomplish this with the C920 in software (via TriDef SmartCam for instance) but the C922 comes loaded with Personify ChromaCam. It’s worth noting up front this is still a software solution. As I mentioned earlier, the Stargazer relies on Intel’s RealSense tech—including its depth-perception capabilities. The Stargazer is able to determine how close something is to the camera, and uses this information to help it filter out whatever’s in the background. The C922 uses Personify’s “Intelligent Shape Recognition” instead. No fancy depth-sensing here. 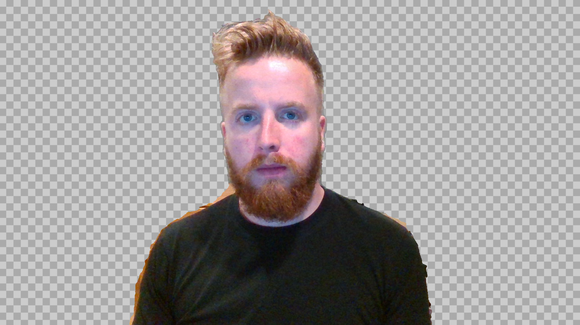 It simply looks for what it thinks is a human in the foreground, then removes everything else...with varying results. Hair. It’s is the Achilles heel of the C922. Even in optimal, well-lit scenarios, the C922 has a tendency to clip off hair in interesting ways, or shave off part of my face as I turn sideways. It’s an issue that’s plagued software-side background removal since its inception. Not only is the Stargazer better in still frames, it’s also faster. Whether running through XSplit native or through OBS/TriDef, the Stargazer was more consistent at recognizing the edges of an object, quicker to do so, and quicker to notice if something moved in front of the camera (i.e., if I moved my hand towards the screen, it would recognize that my hand was part of the foreground much quicker than the C922/Personify, which sometimes would black out my hand over my face). Logitech’s advantage: It’s platform-neutral. The Stargazer requires you to run Windows 10, and as of review-time there’s no official support for background removal through Open Broadcaster Software, or OBS—the software of choice for many YouTube/Twitch producers. That’s not really surprising. The C922 is a marginal upgrade over the C920, with a third-party background-removal solution folded in as first-party. You’d expect it to work with all the same platforms as the C920, and it does. But hey, sometimes ol’ reliable is exactly what you need, especially when your livelihood depends on it. 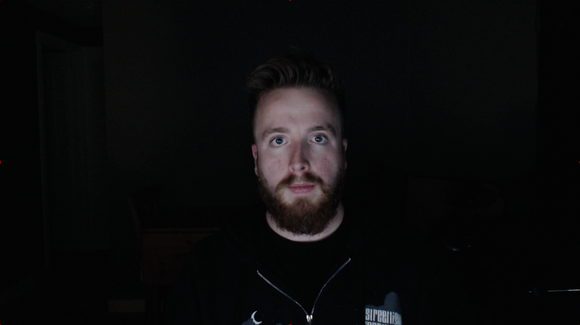 The Stargazer’s background removal is a huge step up from Logitech’s, especially in low-light scenarios, but if it costs more and it requires more legwork? Well, maybe the C922 will win over folks regardless. And that brings us to Logitech’s final coup: It’s $99, or the same list price that the C920 launched at. Or, if you prefer, $50 cheaper than the Stargazer. Razer really needs its RealSense background removal and other futuristic capabilities to sway consumers. Otherwise Logitech’s comparatively simplistic C922 will take the lion’s share simply by being cheaper, prettier, and more accessible. 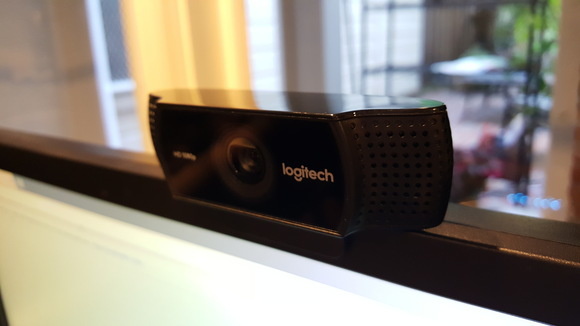 But it speaks to the slow pace of the webcam industry that the C922 is all Logitech really needed to do to keep pace. It’s still one of the best webcams around—certainly the best in its price class—and the additional support for 720p/60fps streaming, the extended low-light capabilities, and the basic background removal are just value-adds for what’s already an industry-dominating device. Which is not to count out the Stargazer. If Intel and Razer can convince developers to get behind the RealSense platform—and they might, now that cameras have finally hit desktops—it could put the Stargazer in a more future-proof position than the C922. But that’s a big if, and one that caters to a specific niche. 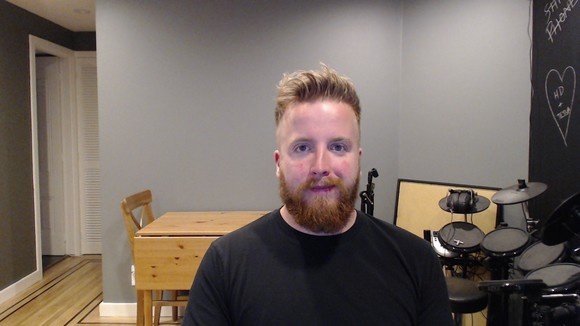 For now, the C922 is probably the best all-around webcam—best image, hands down, and a solid “good enough” in all other categories.